This is the adventurer’s paradise. This is your chance to explore nature’s playground. 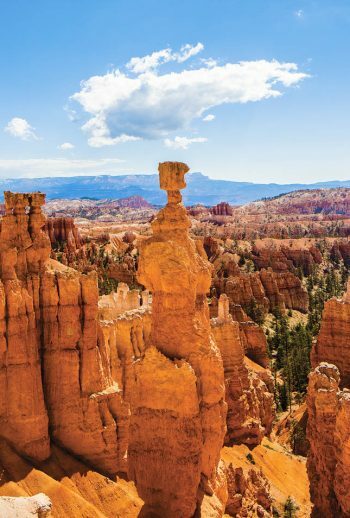 Sure, you can find hoodoos on every continent, but Bryce Canyon has the largest collection in the world! This is your chance to hike Bryce’s Peek-a-Boo and Queens Garden trails. Stay at Bryce Canyon’s historic lodge and enjoy the stunning ancient rock formations of the Bryce Amphitheater.